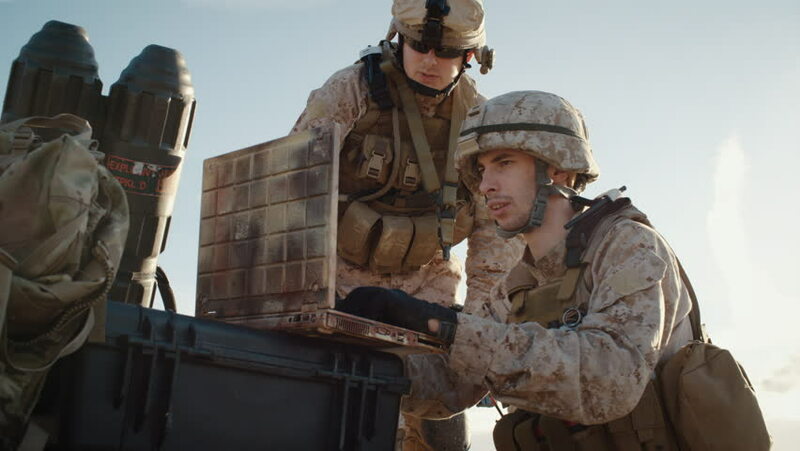 Soldiers are Using Laptop Computer for Surveillance During Military Operation in the Desert. Slow Motion. Shot on RED EPIC Cinema Camera in 4K (UHD).